The adage that security means peace of mind holds true in many ways, including location. 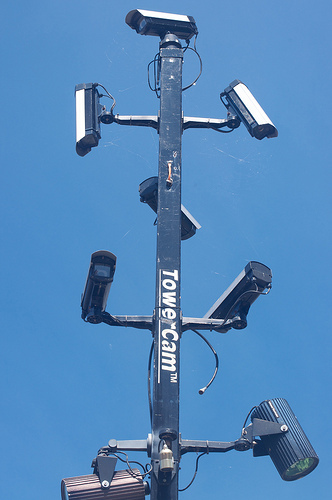 Built into a mountain of the Swiss Alps, the data fortress, owned by Mount 10 Company, is protected by a thousand closed-circuit television cameras and motion sensors that are monitored continuously 24 hours every day, by armed men and heavy gates of metal. It is self-contained with emergency power generators, bomb-proof areas, sabotage-free cooling system for its machines, and climate control to protect the sensitive digital data kept there. Its best security feature is its inaccessibility, being reachable only via a guarded helipad and runway for private aircraft. The Mormon Church Granite Facility. Similar to the above is the Mormon Church records facility built 600 feet into granite mountain near Salt Lake City, Utah. It houses the Churchâ? ?s documents and records including microfilms in climate-controlled chambers accessible only through a concrete bunker and 12-ton metal door impervious even to tank fire. Office spaces, shipping/delivery areas, and other facilities are also housed within. Located 100 feet below the ground in Baghdad, the bunker is protected by five-foot thick walls, six-foot ceiling of concrete reinforced by steel, steel doors that are three-ton heavy and also has two escape tunnels. Proof of its invincibility is that it survived 20 cruise missile and seven bunker-destroyer bomb attacks during the Gulf War. However, it did not survive looting by its own Iraqi guards and was stripped clean. Britain built this 35-acre underground bunker during the Cold War primarily to house its government should a nuclear attack occur. It contained a communications room with switchboard and exchange plus broadcasting facilities, and to help relieve tension, a pub in the usual style of the period. The bunker was kept secret â? ?known only to those with highest security clearance– until declassified in the latter â??80â??s. Below the Ministry of Defence Headquarters in London is the PINDAR bunker, designed to house Britainâ? ?s joint operations leadership and staff in a nuclear attack or serious civil disturbance. Bomb-proof doors will protect the people inside the bunker which also contains accommodations, food preparations, and communications facilities including a broadcasting system, video conferencing capabilities and a situation room. The bunker is also protected from electromagnetic penetration from a nuclear blast. The facilities mentioned above were designed to protect its inhabitants from most kinds of danger conceivable at the time of their construction. However, as manâ? ?s ingenuity for safety and security grows, the technology of destruction continues to develop, creating new security threats that then engender reciprocal protection methods.Â Thus, each is caught in a vicious circle that has no end, until man stops seeking dominance and forbears aggression against his fellows. Only then shall each individual feel secure and live a life free from fear. This article was written by George from Box-it Central. George enjoys spending his time blogging, listening to music and cycling. When not at work or in front of the computer you can usually find him mountain biking round the local countryside. Top related post: Ways to improve security without great expense . . .